While we never ever want to find ourselves in an emergency, the fact is – almost all of us would be at some point in our lives. Of course, we can't control any emergency situation, but the question is – how do we survive such situations? First of all, it is very much important to know and understand that emergencies do happen and they can take any form. Residential fires, injuries at home or work, terrorist attacks, and catastrophic events are some examples of emergencies that may take place without any prior notice. No doubt there are government bodies that run different types of programs to reach and help the victims, however, there are equal chances that they may not reach the needy on time. Sad but true, many people had lost their lives and some are injured badly because of the emergency situations created, especially by the natural disasters. That is why, we all should be well prepared to survive any drastic condition. In order to be well prepared to survive any emergency situation, it is recommended to have a family emergency kit and a safety plan. Having both of them handy gives a sense of security and peace of mind. 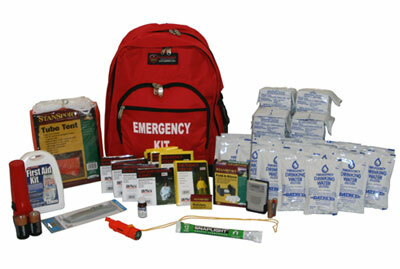 There are actually many things that can be put together in a case or kit to survive an emergency situation. Some of them are first aid supplies, safety vest, safety mask, rope, torch, batteries, knife, radio, food and water. Moreover, taking part in mock drills is also appreciated, as you never know when you actually need to execute them in a life threatening situation.